The number of new listings and total residential sales continued to trend downward during the second quarter of the year, but average sales prices are still on the rise. Year-to-date, total new residential listings have fallen 2.3%. The number of new residential listings for June 2018 has dropped 6.7%, with 551 new listings, compared to 591 new listings in June 2017. Total residential sales year-to-date are down slightly, with 6.4% fewer sales in 2018 versus 2017. 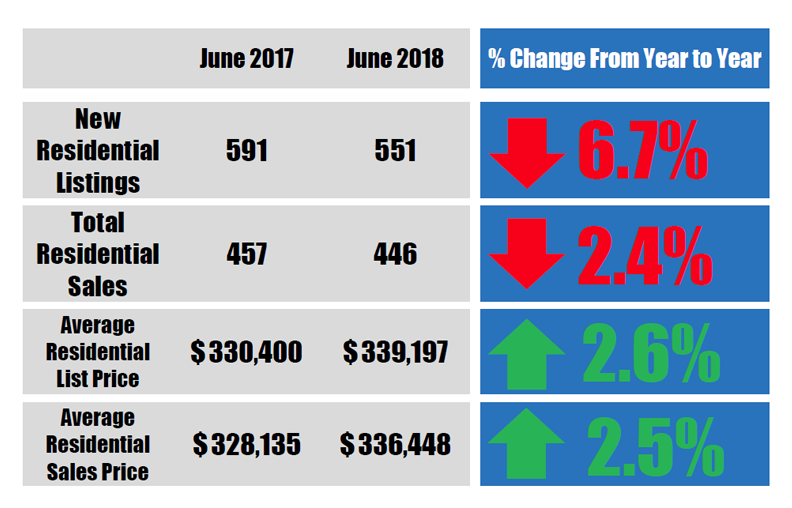 Comparing June 2018 to June 2017, the number of total new residential listings are down 6.7% and residential sales are down by 2.4%. The strain on inventory continues to drive listing and sales prices up. Average residential sales prices are up 2.6% for June 2018, with an average list price of $339,197 compared to $330,400 in June 2017. Average year-to-date list prices are also up by 4.6% from 2017. Sales prices have risen 2.5% from June 2017 to an average of $336,448, and year-to-date the average residential sales price has increased by 5%. Year-to-date, 38% of single family homes have sold for above listing price, and 19% have sold at listing price. 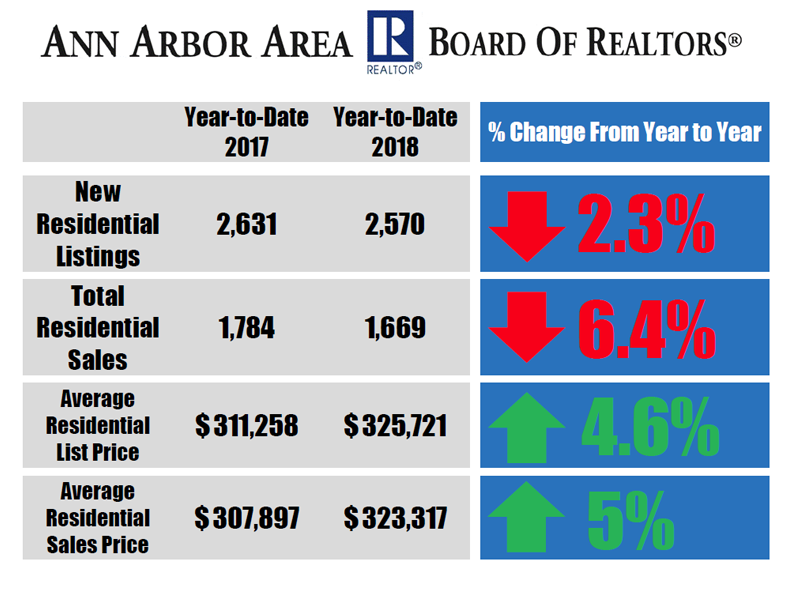 To see more Ann Arbor Area housing statistics, view the June 2018 Housing Statistics Report.